Posted July 17, 2017 by Jamie Apps & filed under Arts & Entertainment, Music. 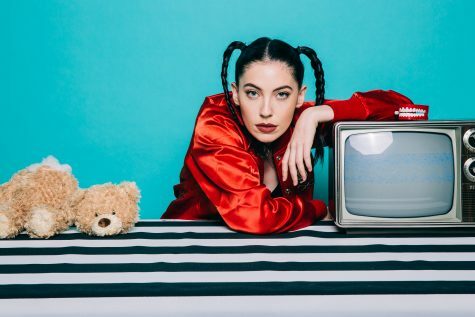 When speaking with Bishop Briggs it would be incredibly easy to overlook her British heritage, given her distinct lack of an accent. Laughingly Briggs says that is simply to “confuse everyone because my parents have thick Scottish accents,” but in truth she credits it to her years studying abroad at international school in Japan before moving to Los Angeles to pursue a music career. The decision to move to LA is a story we’ve all heard before, but the journey that followed is what makes Bishop Briggs so interesting. Luckily for Briggs though she managed to embed herself within a very supportive creative community which has seen her clock up over 40 million Spotify plays without ever releasing an album. Although she has found immense success with single releases Briggs spoke to us about the desire to release an album in the future. When speaking about the tour the excitement in Briggs’ voice was palpable. So with that in mind she should fit right in with us Aussies.